Nobody expected the Pagani Zonda to live on 20 years after it was introduced to the supercar scene. 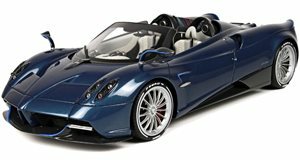 And yet the exquisite exotic refuses to die, as Pagani keeps pumping out one-off special edition models for wealthy clients willing to cough up copious amounts of cash. One such model was called the Riviera, and it’s arguably one of the best looking Zondas ever made. The one-off exotic was sold to a Saudi Prince last year, but the owner has decided to part ways with the Italian supercar. Listed for sale by VIP Motors in Dubai, the one and only Zonda Riviera in the world still looks like it came out of the factory, although no mileage has been listed. It also has an interesting history. Unlike other one-off Zondas, the Riviera wasn’t built from the ground-up as a bespoke model. It started out as a Zonda F but was involved in a serious accident and sent to Pagani to receive a comprehensive restoration and numerous upgrades. 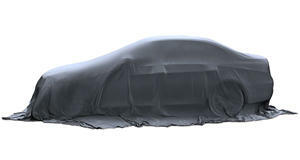 Among the upgrades include new carbon fiber body panels, a roof scoop, a larger carbon fiber rear wing, black wheels, carbon fiber front canards, and blue accents representing the horizon colors of the French Riviera the car is named after. Inside, the interior features bucket seats in bright blue leather matching the exterior’s accents and a sumptuous mix of black aluminium, Alcantara, and carbon fiber materials. Pagani also increased the supercar’s 7.3-liter naturally-aspirated AMG V12 engine's output from 602 hp to 760 hp and installed a new exhaust system to enhance the soundtrack. The result was a car that looked and sounded even better than the Zonda F it was based on, which is no small feat. The dealer hasn’t listed an asking price for the one-off Zonda Riviera, but its rarity inevitably means it won’t be anything under seven figures.